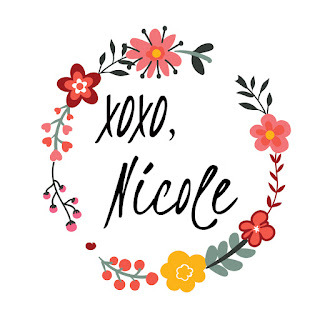 Recently, a friend asked me to create some hand lettered notecards for her to send to her son, who just left for his freshman year of college. I hope these encouraging words help you through your day. These designs are from my sketchbook and need some improvement before the finished result. As I get older, I realize that my mind, which races to find the logic in each circumstance, often comes up empty on the "why" questions. 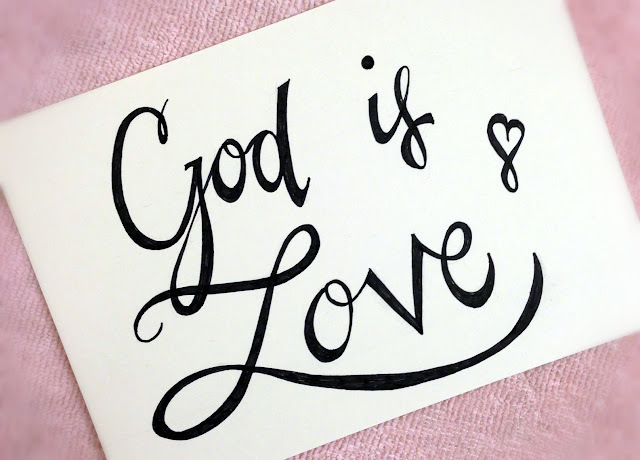 So many of us face difficulties: cancer, illness, loss, tragedy. We need to remember that a little support can go a long way. 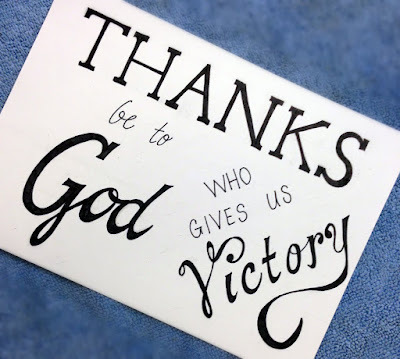 Know today that you are not alone and that I am rooting for you! 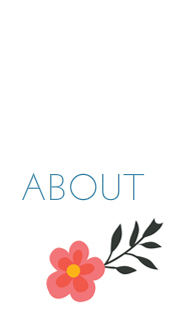 Just a few shots from behind the scenes as we prepare for my fifth class' debut on Skillshare. 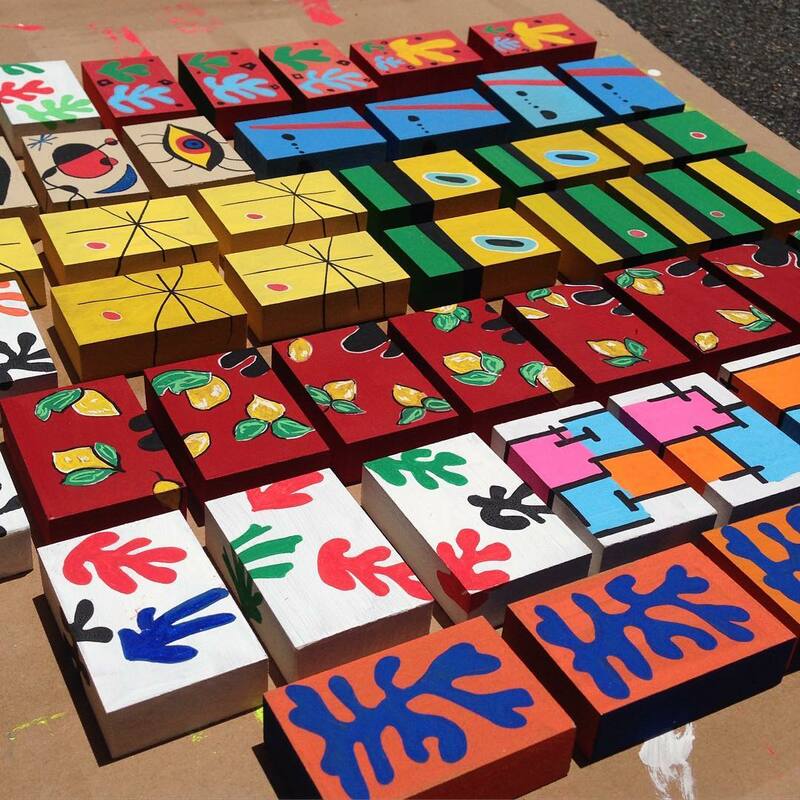 This Abstract Art with a Twist class will take us through a wood craft. As a special challenge, we will grapple with wood grain to complete a tactile art object in shimmering, iridescent hues. The reference work, as you can see below, is Klimt's famous painting, The Kiss. 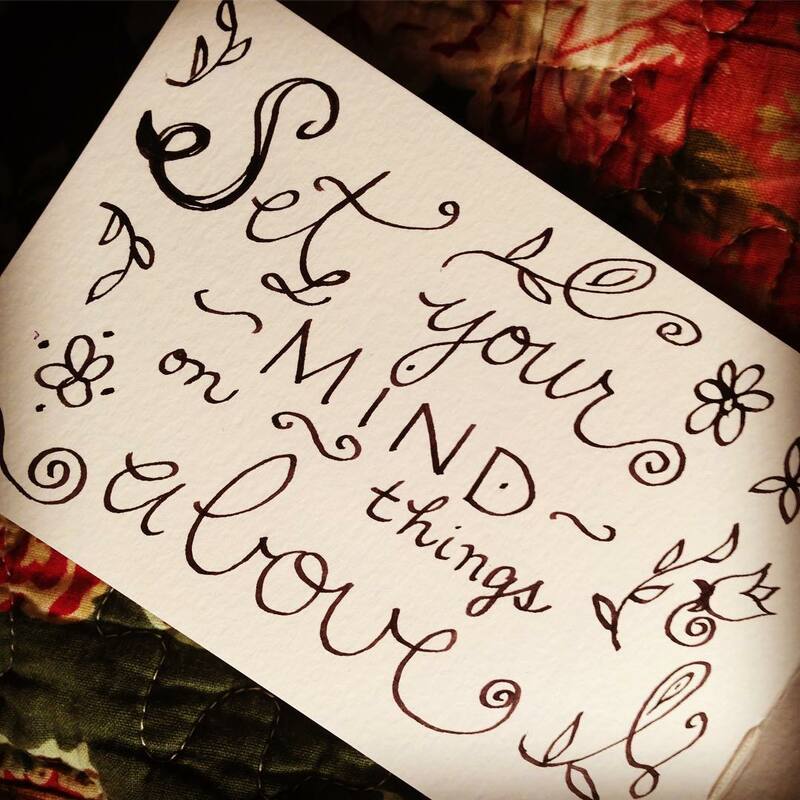 The #DoodleTheory Challenge on Episode 1 of my New Podcast! I'm so excited to announce that I'm adding a new feature to this blog. 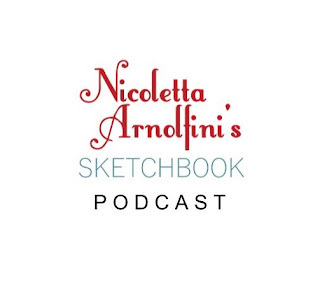 Starting today, I have created a podcast called Nicoletta's Sketchbook Podcast. The mission of our podcasts is simple: to provide you artistic inspiration in your creative journey. These short audio programs are specially meant to make our artistic community here a warmer, friendlier, more enjoyable place. The podcast also allows me to provide more details and insight into the art resources I share here in my posts. I will do them as often as I can. I sincerely hope I will be able to cut at least two per month. On today's episode (first ever! 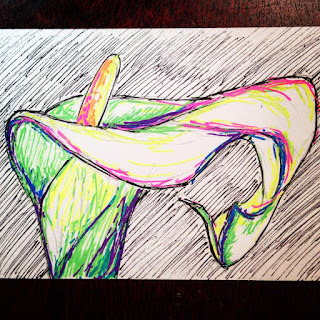 ), I discuss in deeper detail my work for the #DoodleTheory Club challenge. 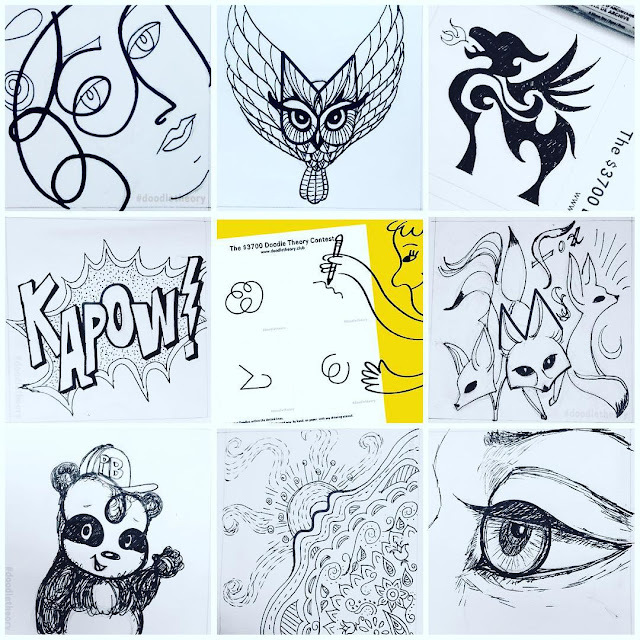 Nate Padavick of They Draw and Travel came up with an idea to create squiggles, or doodles, pass them out to his artist friends, and see how different each doodle was. Here are 8 of my entries to the contest below. 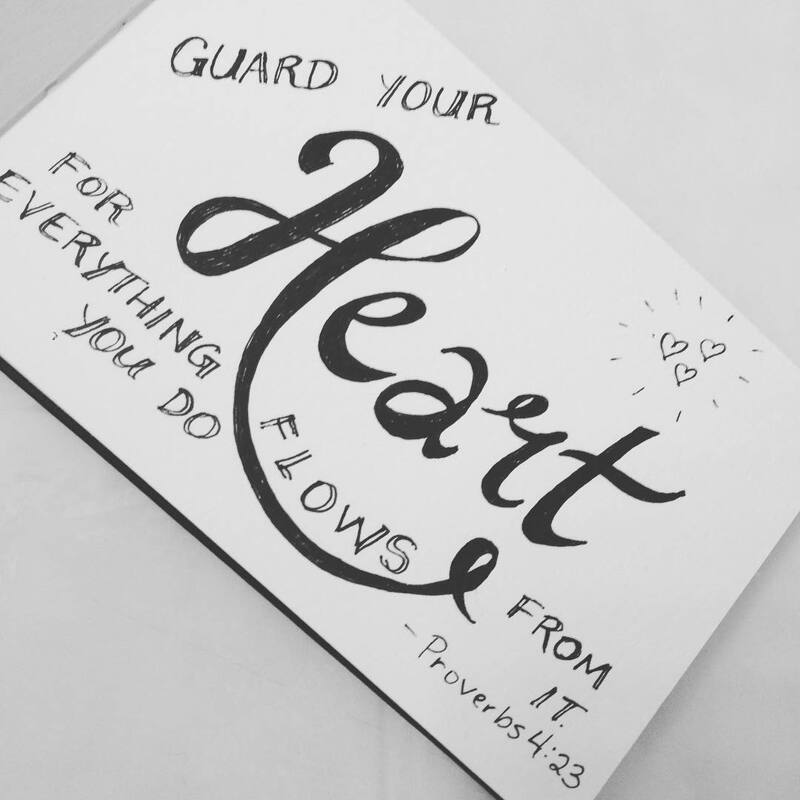 If you want to see the original squiggles, you can download them here. The contest is officially over, but you can see how much fun this is. 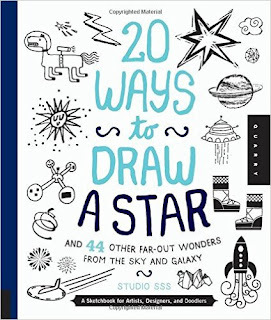 If you enjoy doodling on them as much as I do (just listen to the podcast), then you will definitely want to pre-order Nate's new doodle book, arriving August 16. I learned so much while completing this short drawing challenge, and I feel sure that I will build on this progress. 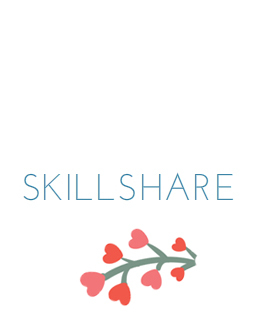 Specifically, you should anticipate a new Skillshare class is coming (Picasso, y'all!!!) as well as A LOT of new Art-o-mat paintings. But enough of the extra fluff. Now you gotta hear the podcast to learn what really went on with this challenge. 1. 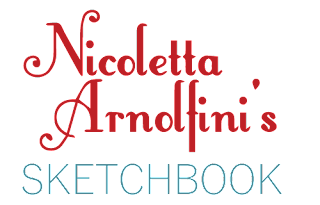 Nicoletta's Sketchbook Podcast, Episode 1, is housed on PodEngine.com. Use this link to get started. 2. This shared program link will take you to the landing page where you will click Join for Free. 3. In the new window, you will enter your Name, Email account, check Agree box and click Join. 4. In your email inbox, you will find a message from ats (dot) podengine (at) gmail (dot) com. The Subject line will say, "Thanks for Joining PodEngine." Click on the Enter PodEngine box. 5. Create a password and a security question for your new, free account. 6. You should now be directed to the Play Page on PodEngine and Nicoletta's Sketchbook Podcast will being automatically. Thanks for listening! I hope you find this podcast to be a deeper, more enriching experience for your artistic growth and creative inspiration. Can 100 days of making art kill you? Evidently not! I made it -- a few days late, but I completed all 100 days. Artist and fellow Skillshare teacher Elle Luna started the idea of making art for 100 consecutive days. 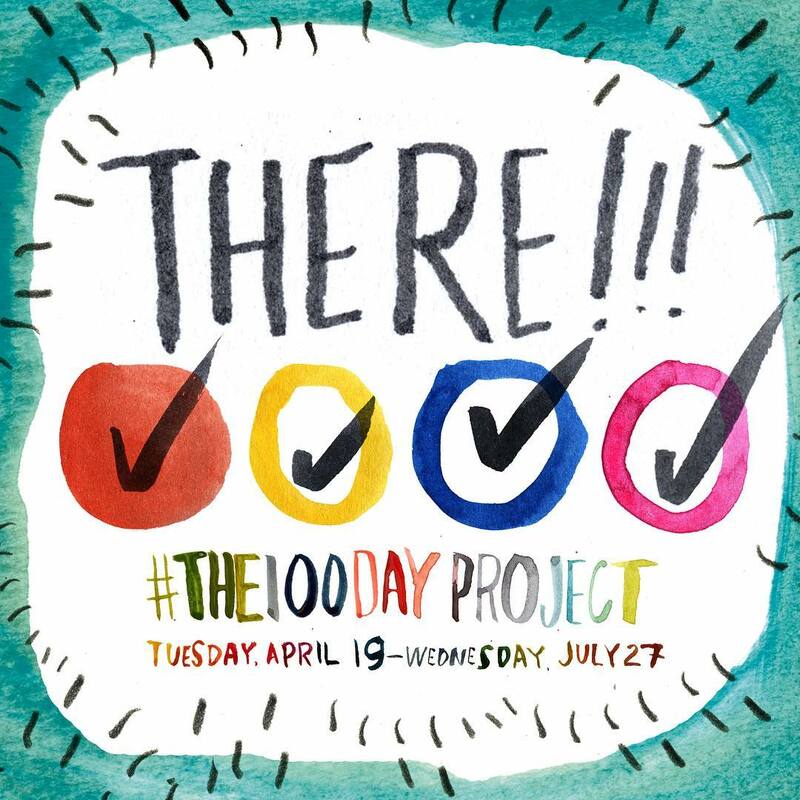 Anyone on Instagram could contribute and follow along by using the hashtag #the100dayproject. Originally, I created the hashtag #100DaysOfLittleInspirations because I thought I could use the daily discipline to create more art for my Little Inspirations series for Art-o-mat. This was not the case all, however, as I never created any particular design specifically to use for this series. 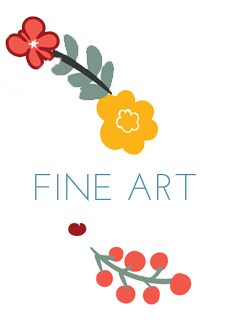 In fact, I created some finished art for my Mini Masterpieces series for Art-o-mat. The little Miro's above and the little Klees at the top are some pieces that doubled as daily paintings for this effort and for my Skillshare workshop in July. The project most likely helped me solidify my next potential projects for my next Skillshare classes. I enjoyed the freedom to explore some favorite Celtic and other cultural designs. I worked out some design problems in finished pieces first in these daily drawings before committing the final project to canvas later. Some days I had no rules. Sometimes this worked, sometimes it did not. The project gave me an excellent reason to look through my old sketchbooks and reflect on continued themes of interest. Any artist who keeps sketchbooks considers them personal treasures, so this was a very pleasant side benefit of the project. 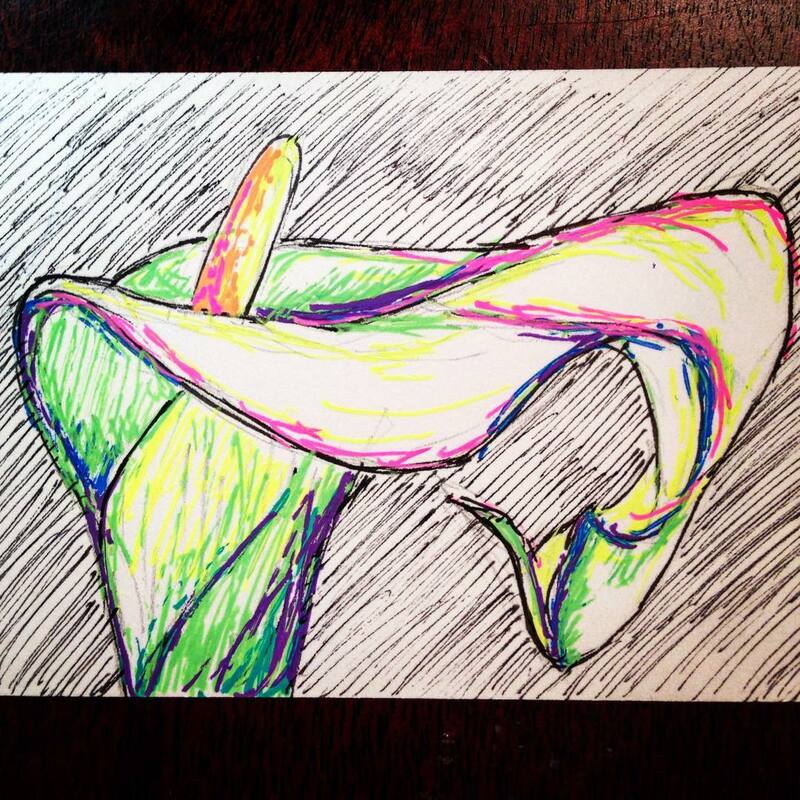 I studied other artists' work on a deeper level than perhaps I would have previously. 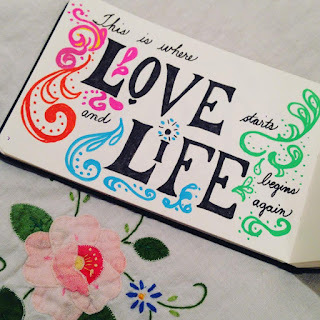 The daily prompt demanded that I find inspiration on days I did not have it naturally. 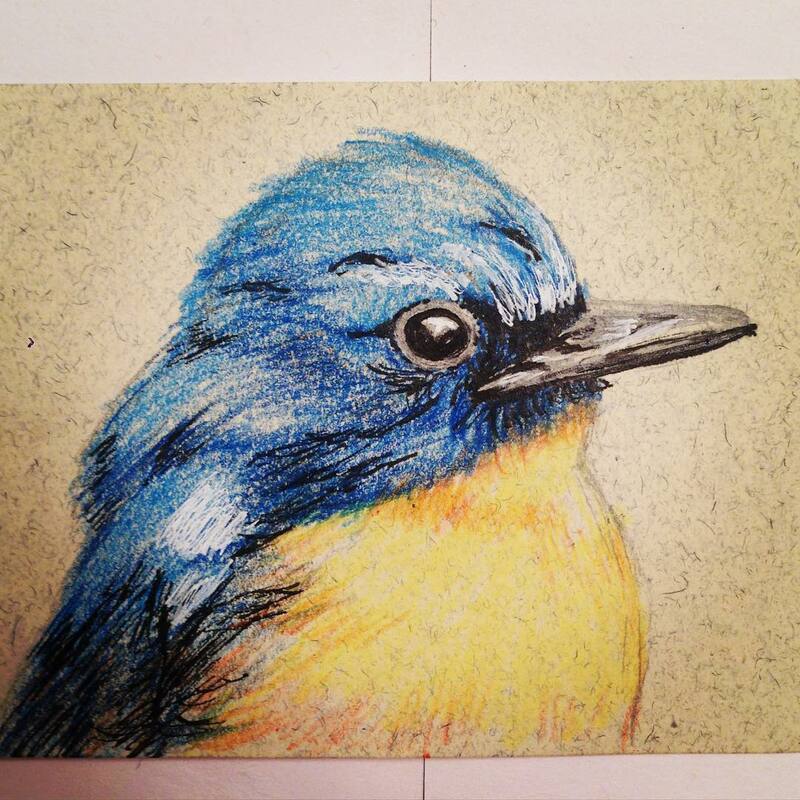 Finding other participating artists via the hashtag was an easy and instant way to be inspired. I took some risks -- for instance, I found I had a lot to learn about painting on river rocks. I may never have had the courage to pursue subject matter out of my comfort zone had I not had the demanding and seemingly relentless prompt. The project pushed me to create works quicker than I ever had previously. The project made me view everyday subject matter, like flowering weeds, in a different light. Because I was constantly contemplating a new drawing, I noticed mundane details and immediately elevated them to things of beauty. It's nice to think that the project potentially trained my eye to see a greater quantity of compositions even though I have not traveled to a different location nor experienced any other external creative change. The project prompted me to remember anything of significance -- favorite song lyrics, for instance -- as an opportunity for art making. Quantity. Quantity. Quantity. I tell my students that the BEST way to grow quickly as an artist is to paint again and again and again. I believe that quantity leads to quality. When I saw this project this year, I felt called to pursue it because it was an opportunity for me to "practice what I preach" to my students. and to renew my acquaintance with favorite art supplies that I had not used in many years. This project had some pressure associated with it. If I went for a few days without creating a sketch or painting, I began to worry about not ever finishing. If you would like to see all of my art from this project, you can find them on Instagram at #100daysofLittleInspirations. If you are an artist who participated in this project, please let me know your own insights into your work by leaving a comment or reaching out over social media. 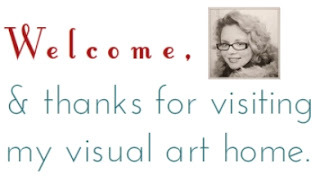 Special thanks to Elle Luna and all other artists who created a supportive community of artists on Instagram -- all of whom were dedicated to developing their skills. 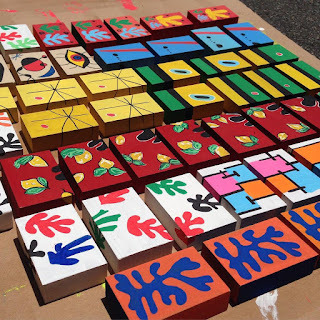 On Monday, we visited Camino Bakery and the Sawtooth School for Visual Art on an Art-o-mat excursion. Our purchases come from artists Zack Rhodes (top) and Paige Matlock (bottom). We got these hot little numbers from the Camino Bakery machine. "Kerplunk! Alex loves the Art-o-mat machine. The kids pose in front of Camino's reflective chrome machine. Next, we strolled down to the Sawtooth School to catch a glimpse of the Art-o-mat machine there. So many wonderful artists to choose from in this machine. 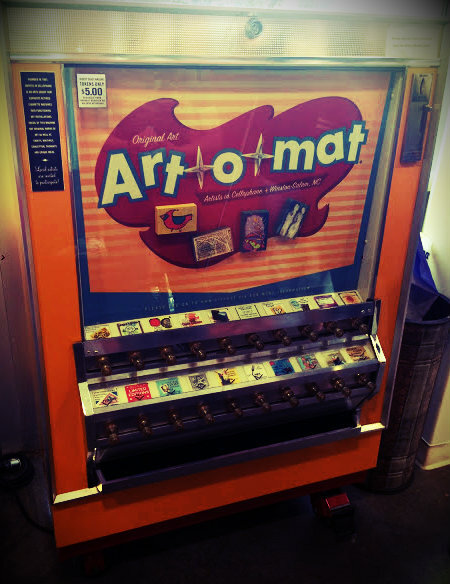 Soon, Clarice's little BoogerBrain series will find a home in one of these Art-o-mat machines. 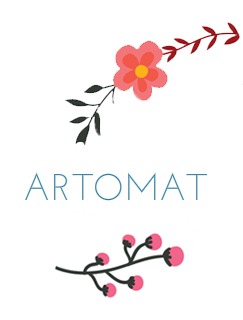 If you would like to learn more about Art-o-mat, check this latest news coverage or join the public Facebook group. We enjoyed the Associated Artists of Winston-Salem show in the Milton Rhodes Center before we packed up to go home. So proud of this artist, Barbara Satow, a student from my pastel class many years ago. What a gorgeous day full of art, friends, and fun.